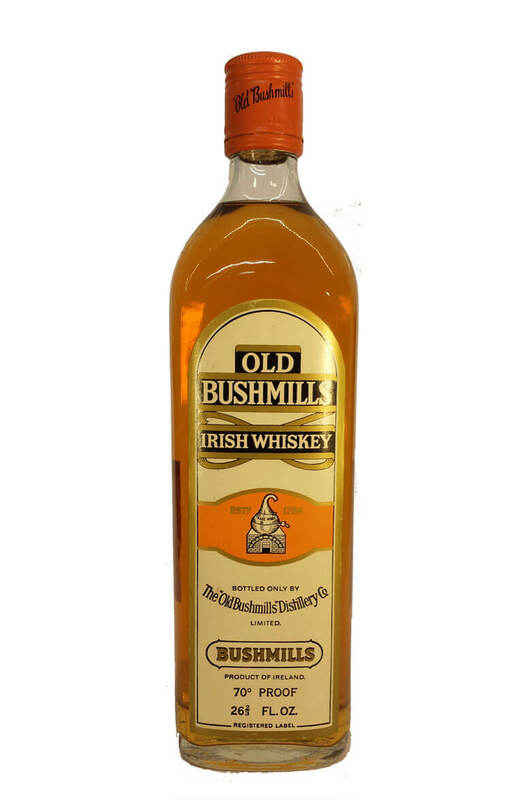 An old bottle of Bushmills white label. This most likely dates from the 1950s or 1960s. The contents are stated as 26 2/3 fl oz and the strength at 70 proof.